Riverside Villa occupies one of Nelson's most sought after locations - So close to everything yet secluded and peaceful! 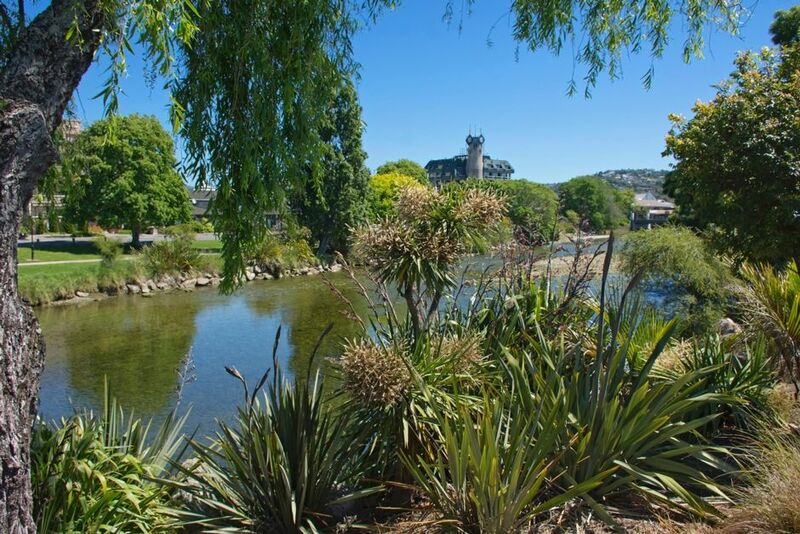 Located right on the banks of the Maitai River just 150m from the Nelson i-Site, Nelson's main shopping street, supermarkets and a number of great cafes and restaurants, Trafalgar Park, Queens Gardens and the Centre of NZ! Leave the car behind and head out on foot to enjoy the best of the city or the surrounding riding and walking trails! Gas radiator central heating system makes this a perfect choice for the colder months of the year! Garage available for sporting equipment, bike or pram storage (not available for vehicle storage). Off-street parking for 2~3 vehicles. No party or venue use. No Smoking. Pets may be permitted by written agreement only - please contact us with details about your pet before booking. A bond/card-authority will be required. Extras: Cleaning and Linen (Required, NZ$75.00); Service fee (Required, NZ$25.00 per stay); Portacot and highchair available for hire (Optional, NZ$15.00 each). Fantastic riverside location with a stone throw of some great cafes & all that the city centre offers. No need for a car to navigate the city here - this home offers wonderful convenience in a special location that is peaceful & beautiful. Central Heating makes this home a lovely Winter choice! Largely single level with accessible main bathroom. Easy access. Walk to restaurants, cafes, galleries, markets & shopping! toilet, shower, Master Ensuite with Shower, Toilet & Hand-basin. toilet, tub, shower, Main bathroom with Shower, Bath, Toilet & Hand-basin. Please note the garage is a storage area for the property owner. You are welcome to park bicycles, pram etc inside, but not a car. Ample offstreet parking is provided. Full kitchen with dishwasher, water filter, oven, stove, microwave, fridge & freezer. Riverside Villa is pre-cleaned with beds made, ready for your stay. All utilities, linens & towels, use of property amenities including Freeview TV, WiFi, pantry & sanitary basics, departure linen service & standard housekeeping up to 3 hours are included. Extra charges will apply where excess cleaning, BBQ or oven cleaning or excessive rubbish disposal is required. The house is in a wonderful location. So close to everything yet on a quiet street right by the river. It has everything you could need for a relaxing break. Very well set up with 4 bedrooms and plenty of space for a group. We will definitely be back. Beautiful house in the best location in Nelson. We are three women in our sixties who spent a wonderful week at the Riverside Villa in March, 2019. We did a tour of the wineries in Marlborough Sound, we spent a day at Abel Tasman National Park, we rented bikes, we walked, we visited parks, gardens, the markets, the provincial museum, and we ate many wonderful meals at the excellent local restaurants. The location of the house couldn’t be better. It’s in the middle of everything; a couple of minutes walk to coffee shops, restaurants, the visitors’ center, bike rentals, the movie theater. The house is comfortable, well-equipped, safe and quiet, even though it’s centrally located. When we had a small problem with the front door key, the staff were there within minutes to solve the problem. Thanks for your nice feedback that we will pass along to our team and homeowners. It's been our pleasure to host you and we'd love to host you again if you are coming back to the Nelson area sometimes. Superb location in the heart of Nelson. The house had everything you need for a stay away. Comfortable, clean, spacious house in a wonderful location. This is a wonderful house and location - great in every way. Highly recommended. So quiet to sleep in, despite the central location, so really the best of both worlds. Thankyou. A beautiful house, clean and tidy, with outstanding location.